Craig Wayne Boyd is the announced winner of The Voice Season 7! Matt McAndrew finished 2nd, Chris Jamison placed 3rd and Damien Lawson 4th. 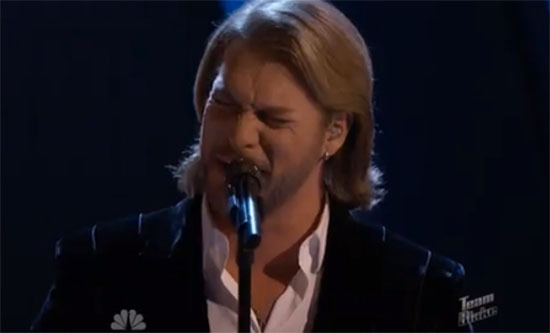 Craig Wayne Boyd from Team Blake was named as the The Voice 2014 winner on Tuesday, December 16, 2014. 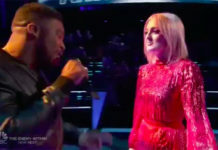 The 35-year-old country singer from Nashville, who brought powerhouse performances to the top-rating singing competition The Voice, beats Matt McAndrew, Chris Jamison and Damien Lawson in the public vote. 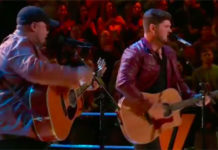 On Monday, the Top 4 finalists — Craig Wayne Boyd, Chris Jamison, Matt McAndrew and Damien Lawson — performed three songs each. Craig Wayne Boyd brought outstanding performances of In Pictures and Boots On . He also performed an original song called ‘My Baby’s Got a Smile on Her Face’ as his first single during the finale episode – his winning performance. 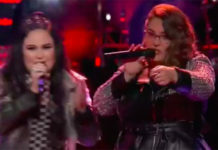 The winner was announced at the end of a two-hour finale featuring performances from Jennifer Hudson, Jessie J, Bruno Mars, Ed Sheeran, Mark Ronson and Hozier. Craig Wayne Boyd took home the $100,000 cash prize and earned a recording contract with Universal Republic Records.